I don’t know how to create events, are there any samples available? 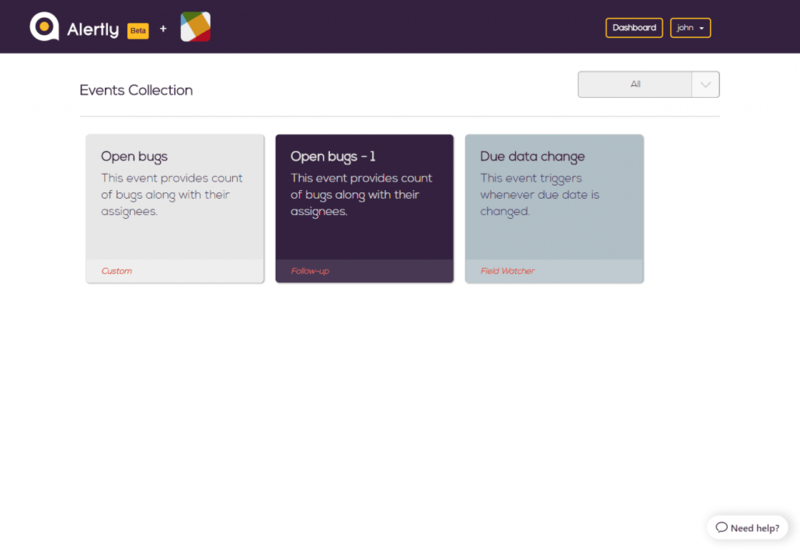 Alertly provides various easy to add events to users, so that they do not need to create any events from scratch. The ready to use events mainly contain filters and template text along with the description. 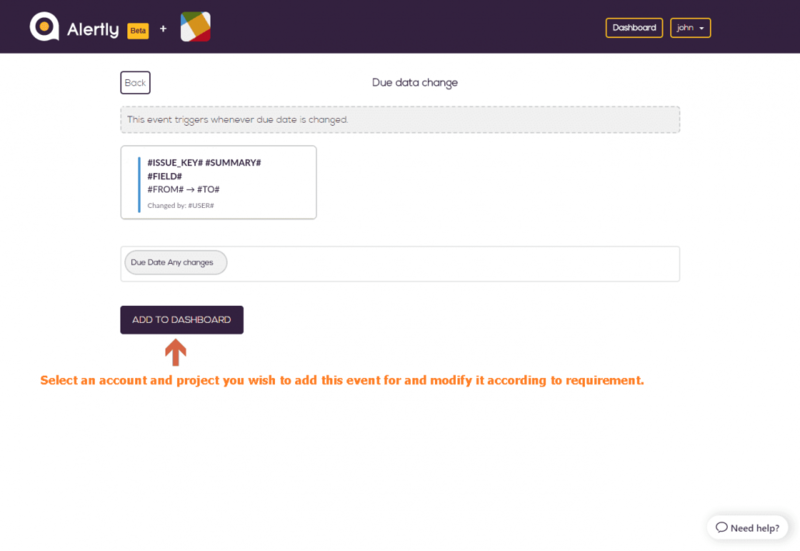 These events can be easily added to your dashboard and then modified according to requirements. You can visit the Events Store by clicking on Dashboard ⇨ Events Store. https://alertly.io/wp-content/uploads/2017/11/alertly-purple-beta-logo.png 0 0 Alertly https://alertly.io/wp-content/uploads/2017/11/alertly-purple-beta-logo.png Alertly2017-10-17 05:15:362017-10-17 05:15:36I don’t know how to create events, are there any samples available? Can I change the message format OR can I define my own message? What does Dashboard display?